Alexandra Flynn is an Assistant Professor in the City Studies program at the University of Toronto (Scarborough). She teaches and researches in the areas of urban governance and local government law. Her dissertation project, Reimagining Local Governance: The Landscape of “Local” in Toronto (2017), examined Toronto’s complex local governance model along with its motley of institutions – some granted delegated authority and some not. Her current project focuses on Indigenous-municipal relationships in the land use planning process. In 2017, she received a SSHRC Insight Development Grant to investigate the notion of a “municipal duty to consult” and its potential for reciprocal, respectful relationships between Indigenous and municipal governments. 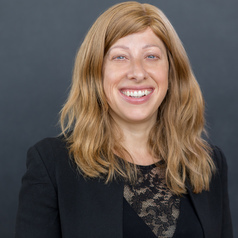 In addition to her academic work, Alexandra has over ten years of experience as a lawyer in Vancouver representing First Nations and as a senior policy official at the City of Toronto where she focused on intergovernmental relations. She has a long history of volunteering with organizations focused on homelessness and access to justice.